Play Anywhere! No Surface Required! 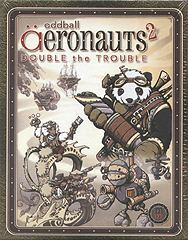 An expansion to the original Oddball Aeronauts game. Now 2-4 players can go head to head to head to head in a duel in the skies of an oddball fantasy world!